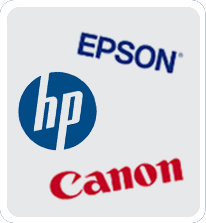 We stock all the popular inkjet cartridges for HP, Epson & Canon. If we don’t stock your cartridge, we can order it for next day collection. The same applies to all laser cartridges. We’re an authorised reseller of JetTec laser toner and ink jet compatible cartridges. We also stock a wide range of computer consumables including USB sticks, CDs etc.